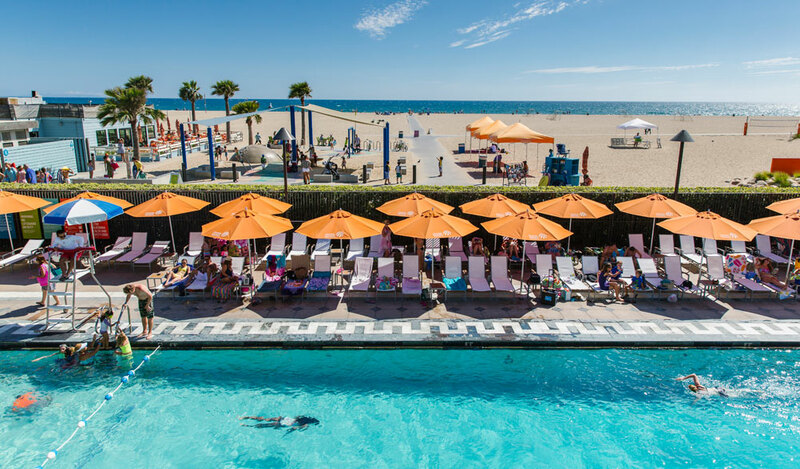 Set along a beautiful 3.5 mile stretch of coastline, Santa Monica blends an unmistakable laid-back appeal of a classic California beach town with big-city sophistication to create a destination that is unlike anywhere else in the world. Often referred to as LA’s beach city, Santa Monica is a walkable 8.3 square miles and is the perfect place to base yourself for a visit to Southern California. Seaside Santa Monica has eight distinct neighbourhoods to explore, each with its own distinct character and charm. There’s buzzing Downtown Santa Monica; arty Main Street; foodie-centric Mid-City; luxe Montana Avenue; indie Ocean Park Boulevard; vibrant Pico Boulevard; the iconic Santa Monica Pier/Ocean Avenue Area, and scenic Wilshire Boulevard. No matter what you do in this city, where nature and urban excitement converge, you’ll quickly discover that Santa Monica is as inspirational as it is irresistible. Santa Monica Travel & Tourism has teamed up with United Airlines, Hotel Shangri La and Fairmont Miramar Hotel & Bungalows to give one lucky winner and guest, a chance to create their own Santa Monica story. To enter, simply answer the question below and submit your details. How many neighbourhoods are there in Santa Monica? 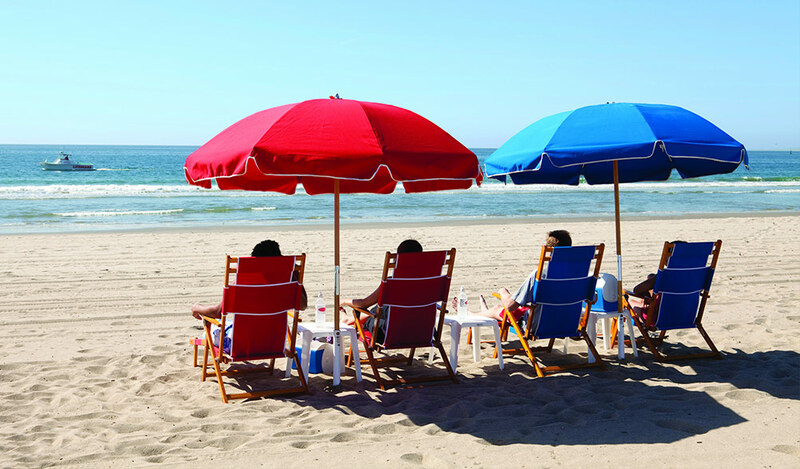 Santa Monica enjoys an average of 300 days sunshine year-round! Its mild, balmy, humidity-free weather makes it the perfect place to escape wind, rain or snow. Set along 3.5 glistening miles of coastline, Santa Monica is bordered by Malibu and Venice. It is easily accessible from Los Angeles International Airport at only 8 miles, approximately 20 mins drive. Explore Santa Monica by foot, bicycle or rollerblades, as a car isn’t necessary in the city. And if you want to explore Greater LA, hop on the Metro Expo line you can get from Downtown Santa Monica to Downtown LA in 46 minutes! 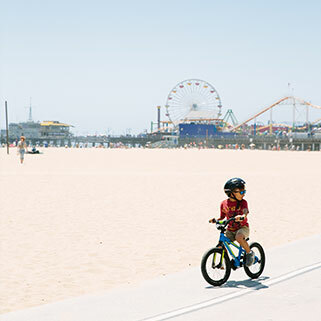 Sun, sand, sea and city thrills: whoever said ‘you can’t have it all’ hadn’t been to Santa Monica. 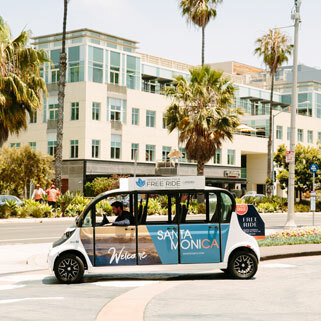 At the heart of the Santa Monica experience are eight distinctive neighbourhoods, each infused with a wealth of personality and visitor attractions. 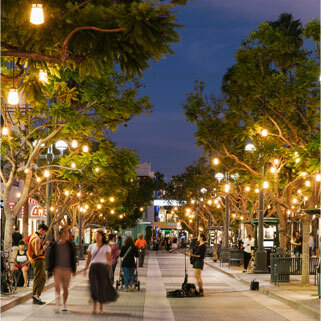 At just 8.3 square miles, it doesn’t take long to discover the world-class shopping, dining, and entertainment in each of Santa Monica’s eight distinct neighbourhoods. Santa Monica continues to carry the flag as a fundamental innovator in the world of exercise. Spinning was, in fact, invented in Santa Monica, a now global phenomenon that has revolutionised indoor cycling and taken the world of fitness by storm. 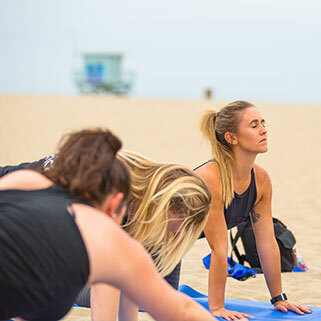 Enjoy a private yoga class on the beach with Beach Yoga Socal, a soothing way to start the day after waking up by the waves. Health and wellness activities are a prevalent attribute to Santa Monica; you will return from your trip with a new lease of life! Santa Monica is home to some of the most iconic and celebrated hotels on the West Coast; that range from high-style boutique hideaways to world-famous oceanfront resorts to budget-friendly options. 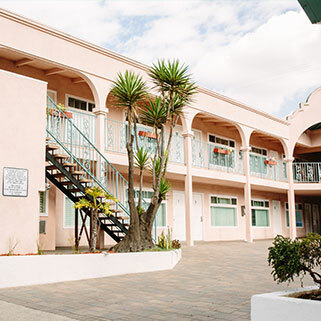 Many of the hotels offer stunning ocean views and are within walking distance from Santa Monica’s famous beaches, Pier, shopping, dining and leisure activities. For a small city located in Los Angeles County, Santa Monica plays a highly influential role in the arts and cultural life of Southern California. In fact, more than half of the people who live in Santa Monica are employed by the arts. 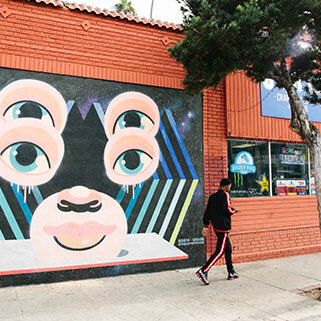 Santa Monica boasts a diverse and vibrant arts scene, with nationally acclaimed galleries, vibrant public art, leading museums, theatres, and a busy schedule of performing arts, plays, and concerts. Santa Monica is one of the most sustainable cities in the USA, recently banning single-use plastics to protect the coastline from pollution.